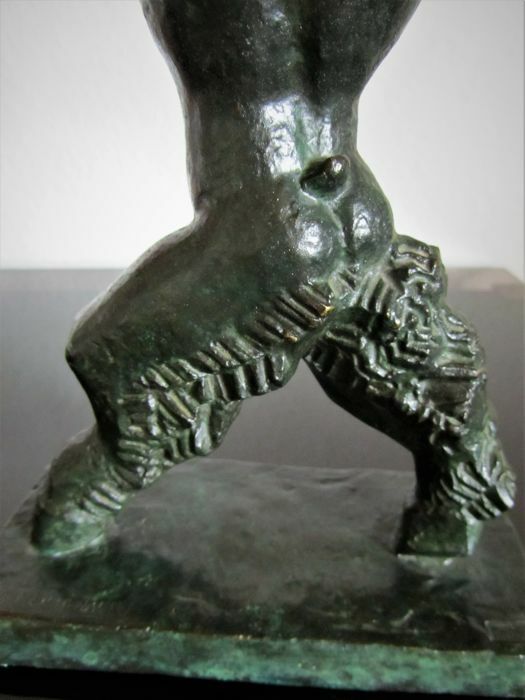 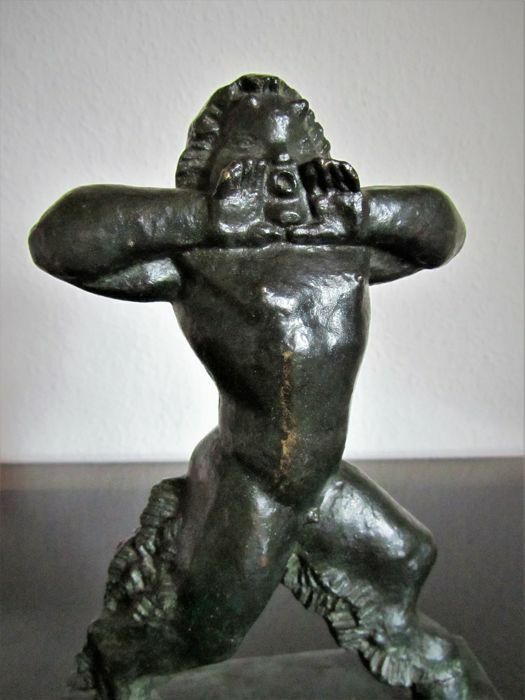 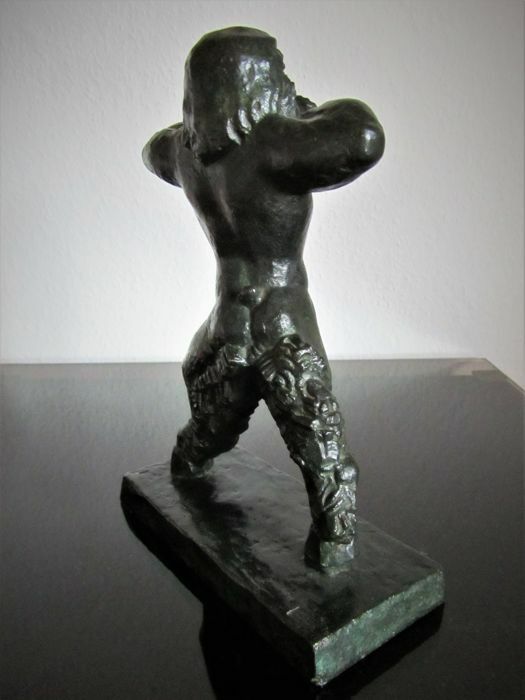 Well-known bronze sculpture by the artist Ulysses Gemignani labelled ‘Mickee’ Depiction of a screaming faun The artist is well-known internationally. 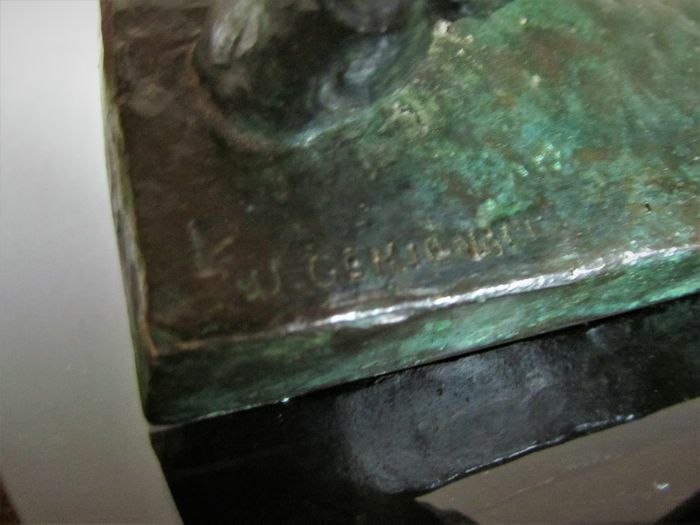 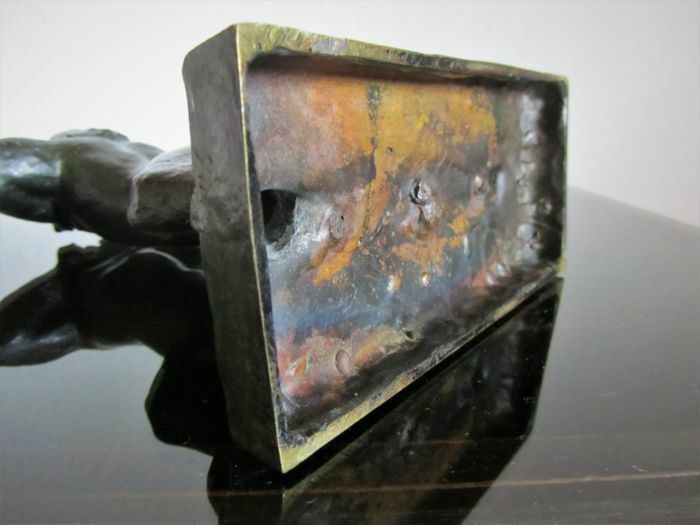 The sculpture has the artist’s signet on the side of the base. 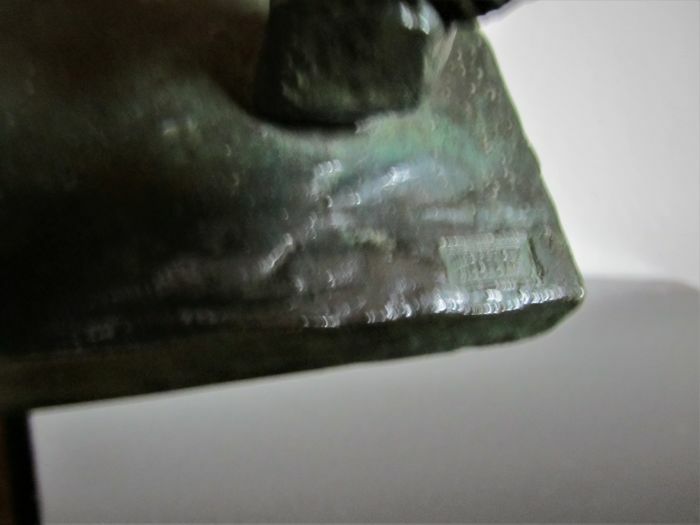 On the right side of the base you can see a stamp with the inscription ‘CIRE PERDUE...’, which is difficult to read. 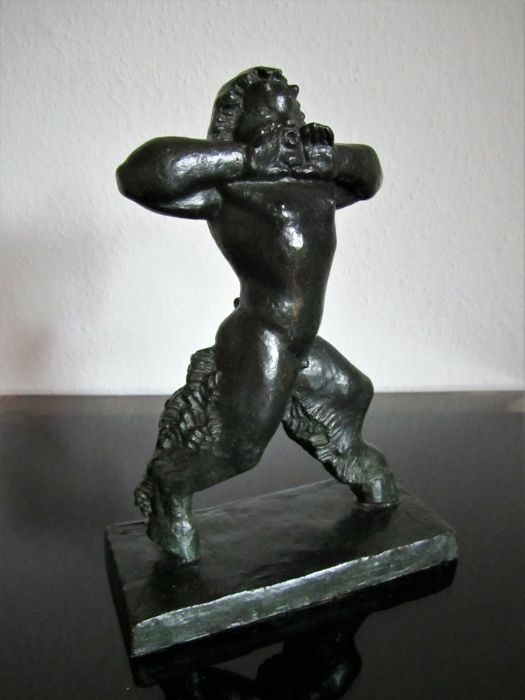 In very well-preserved condition, old patina with no damage Height 23.5 cm, length 16.5 cm Ulysses, Jean-Baptiste, Antonin, Marius Gemignani was born on 21 December 1906 in Paris. 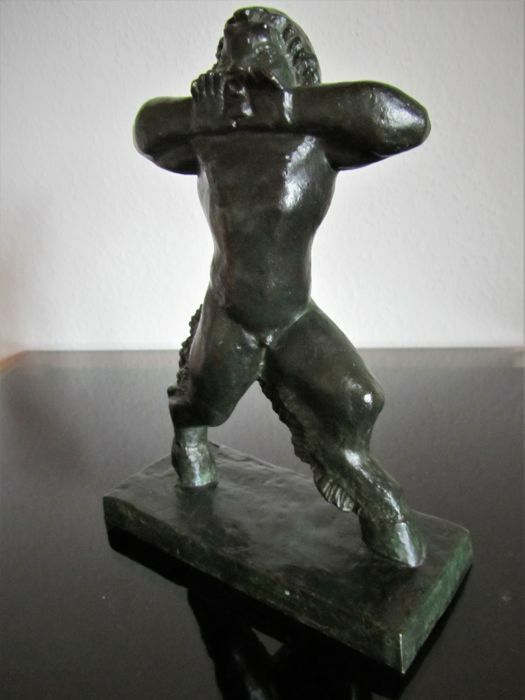 He attended the National School for Arts in Paris where he was a student of Jean-Antoine, then Henri Bouchard. 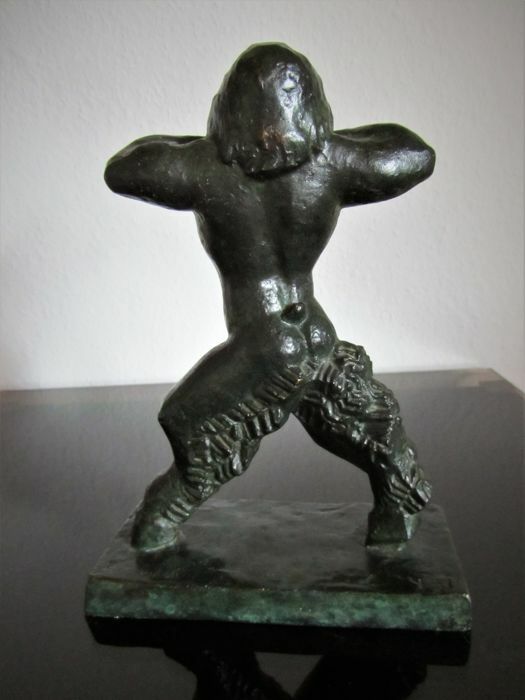 He was also in the Salon of French artists in 1929.